Beginning their ‘Value Retail Chain’ concept in 2013, 1-India Family Mart has expanded operations across Bihar, Jharkhand, Chhattisgarh, and the North East. 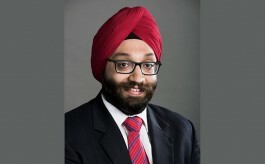 Ravinder Singh, COO, Nysaa Retail, speaks to Retail4Growth on their key focus, challenges and plans ahead. Established in 2012, 1-India Family Mart aims at providing affordable fashion and general merchandise in North and Eastern region of India. 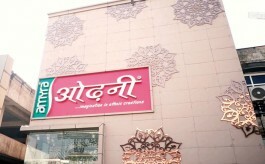 Beginning their ‘Value Retail Chain’ concept in 2013 with first store in UP, the company has expanded operations across Bihar, Jharkhand, Chhattisgarh, and the North East. Today, 1-India Family Mart has 75 stores across East and North of India. 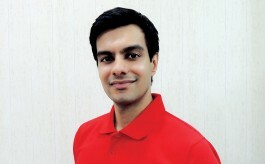 Speaking to Retail4Growth, Ravinder Singh, COO, Nysaa Retail, said, “Being an idea-driven firm with customer centricity at the core of its operations, we felt North India is a virgin market for our business. According to our estimate, the combined population of states UP, Bihar, Jharkhand, and other states will be close to 30 crores.” According to Ravinder, the key focus is always the Eastern part of Uttar Pradesh, which is geographically and culturally distant from New Delhi. Having only home-grown small retailers majorly in B and C class cities, Nysaa focused on giving them an experience of getting exposed to a variety of design and colours at one place. “Other factors like cost of the human resources, store rentals are affordable and being in Delhi, these regions are easy for us to cater as we procure directly from the manufacturers,” Ravinder Singh said. The typical store size scales around 8,000 sq ft and is available majorly in the high-streets. “We have 80% of the garments and 20% of household items like carpets, curtains, kitchen items, and some women accessories”, he says further telling that more than shopping, for the customers in those regions, our stores had become a family hangout spot as very limited options for recreation in those cities. Elaborating on the challenges as a retailer, he says, “Finding the right people in emerging cities is a key challenge for us. In established cities, getting people in leadership positions is not a big deal. However, to find in small cities, especially for roles of store managers, it is a challenge”, he says.